They say pride come before a fall & we came back down to earth on Saturday with a bump after 4 wins from 4 picks early in the week, our ambitious pick of QPR failed to come off even after they showed a bit of fight vs West brom & Gillingham failed to find a way through after hitting the post early on against Oxford. You can't win them all though (unless you're the Houston Texans!) 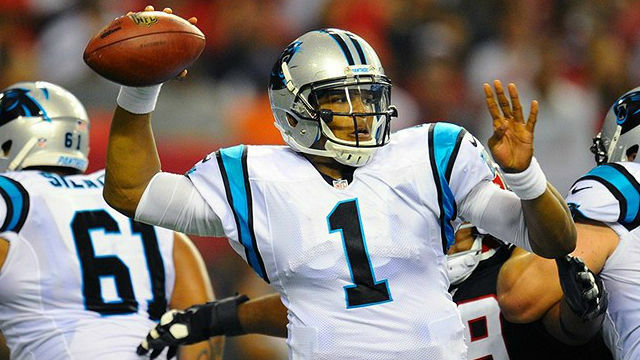 & we're back with picks from two of Sunday's NFL games as the Seahawks take on the Panthers & the Eagles face off against the Steelers. Every Carolina game has a little bit of unpredictability as you can never be sure just how effective their star player, quarterback Cam Newton can be & he's got a tough test this week against Seattle's decent defense. Seattle have a slightly better record than Carolina this year with two wins compared to the Panthers' one but that is highly fortunate as one of those victories was the controversial last second win over the Green Bay Packers. Both of Seattle's victories have come at home & they tend to fare a lot better on their own field in general with only 8 road wins from the 2008 season onwards. Carolina's loss in week one v Tampa was disappointing but their other two losses were no disgrace, getting rather blown away by Super Bowl champs the New York Giants & then pushing form side Atlanta all the way last week. The Panthers' have a pretty ordinary defense but the Seahawks probably aren't the team to exploit it as they rank just 28th in points scored & yards gained per game & they will surely continue to rely heavily on Marshawn Lynch rather than the passing of their somewhat limited rookie Russell Wilson. The Seahawks have a mean pass rush but that isn't the best way to stop Cam Newton as he isn't a quarterback who wants to stay in the pocket anyway & he could really hurt Seattle by taking off & breaking off some big runs. Newton really is the key here but if he does perform we can see Carolina winning this by a stretch, he's averaging a league high 9.5 yards per completed pass plus has run for plenty of yards & 3 rushing touchdowns already. With Cam being backed up with the running game of DeAngelo Williams the Panthers can cover the -3 point handicap & consign Seattle to another away loss. This interstate game only comes around once every four years but means that we have a veritable derby game between the Philadephia Eagles & Pittsburgh Steelers of Pennsylvania at the Steelers' home of Heinz Field. This is maybe the most fascinating contest of the week as the teams rank 5th (Pittsburgh) & 6th (Philadelphia) on defense but both have some weapons on offense too with the Eagles ranking 5th in offensive yards gained & Pittsburgh having one of the most dangerous passing attacks with Ben Roethlisberger having ace receivers to pass to. The Eagles's offensive yard stat doesn't tell the whole story though as although they rank 5th in yards they rank in 30th place in points scored as they have turned the ball over too many times & struggled to get touchdowns when in the red zone (38.5% of the time). 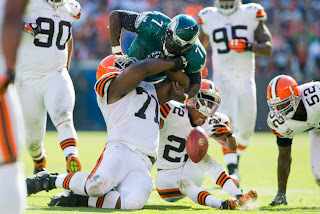 Michael Vick hasn't protected the ball at all well at times & they've had a league high 6 rushing fumbles. Yet for all their troubles the Eagles have somehow managed to get 3 wins from 4 games by a combined total of just 4 points with incredibly narrow victories over the Browns, Ravens & Giants & the saying goes that good teams win even when playing badly. The Steelers are coming off a bye week & they'll be hoping to improve after a slow start that has seen them only beat the terrible New York Jets. The bye week came at the right time as they were really struggling with injuries to key players but they all look likely to return in this one, Troy Polamalu & James Harrison are two of the NFL's biggest defensive stars & will really bolster them whilst the return of Rashard Mendenhall at running back could add a much needed running game to complement the passing. 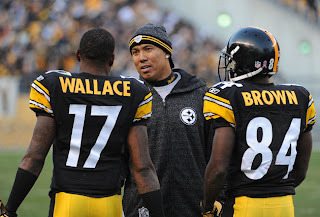 At receiver the Steelers have an arsenal of talent with the emerging Emmanuel Sanders, Antonio Brown & Mike Wallace, the team had some issues with Wallace pre-season & he missed some training but he has improved markedly in each game as shown by receiving figures of 37, 74 & 123 yards respectively & a touchdown in each game - he's overpriced at 9/1 to score the first touchdown of the game. This isn't an easy one to call as we've been unimpressed with the Steelers so far & Philadelphia seem to make too many mistakes to be trusted even though they've somehow gained 3 wins from 4 games so instead we'll take the total points line & the game to go over 43. Only one of Philadelphia's games has gone over that mark so far but they have had the chances to score many more points than they've managed whilst we've seen 50 & 65 points in two of Pittsburgh's games suggesting this has the potential to be a high scoring affair.